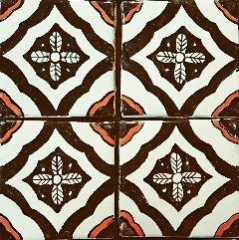 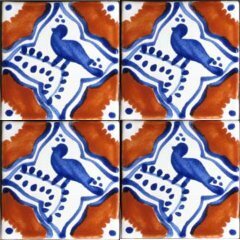 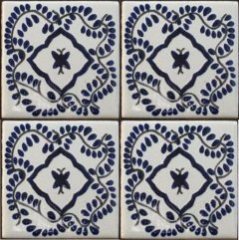 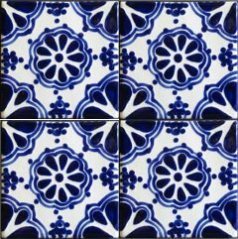 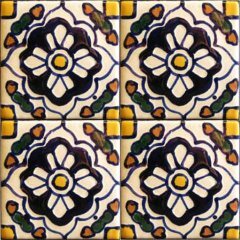 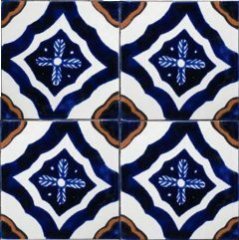 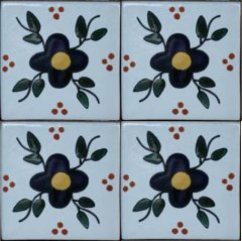 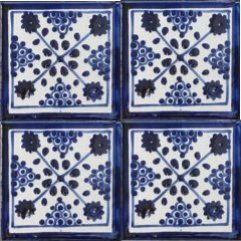 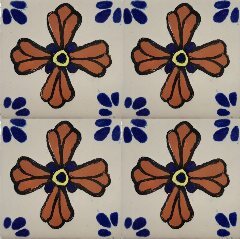 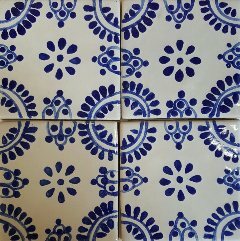 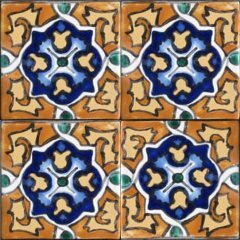 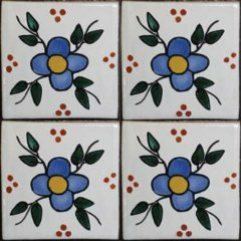 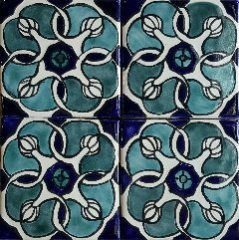 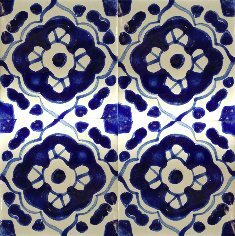 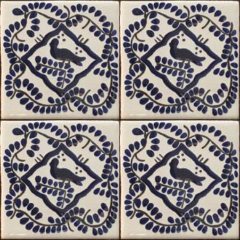 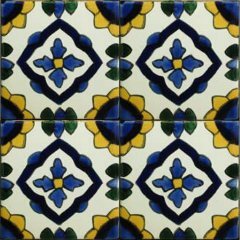 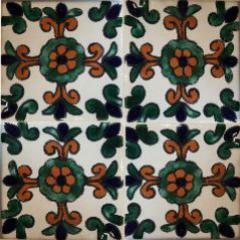 Rustic, handpainted and traditional, Talavera tiles from Mexico have been a tradition since the 16th century. 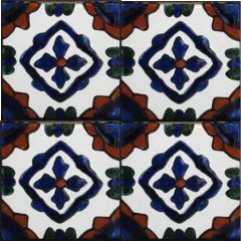 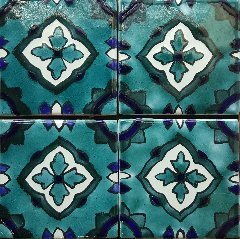 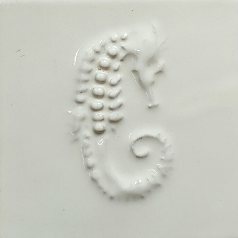 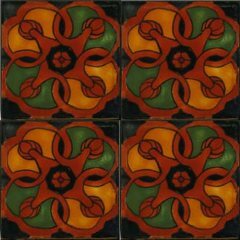 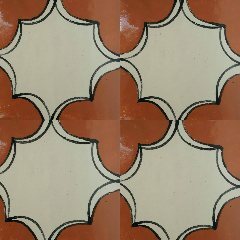 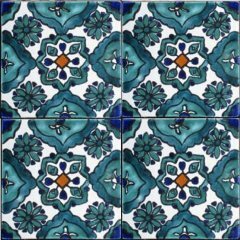 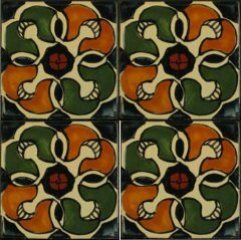 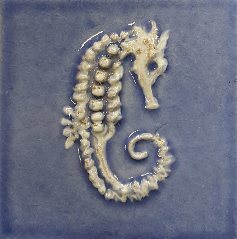 The glazes and the method of forming the tiles by hand have remained the same for over four hundred years. 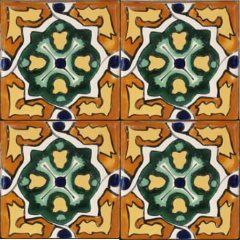 Many of the designs originated in North Africa, then traveled to Spain with the Moors and across the Atlantic with the Spanish. 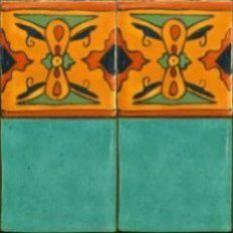 Some of the designs shown here were found in Puebla, Mexico, the original home of Mexican tile making. 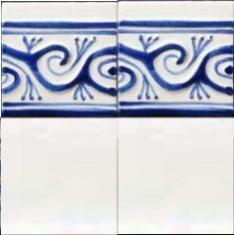 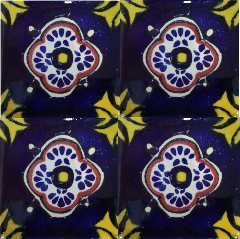 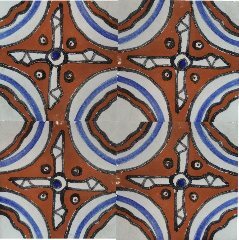 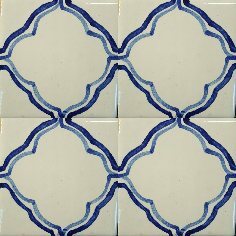 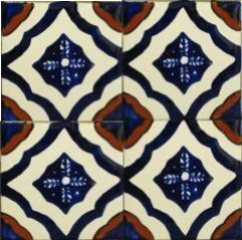 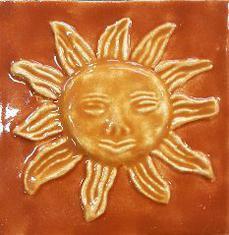 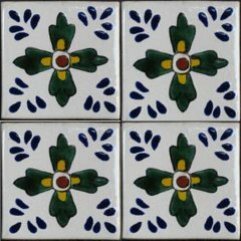 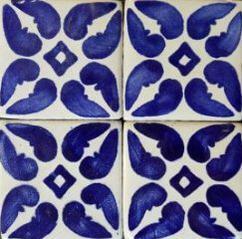 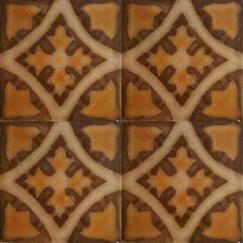 The patterns are reproduced for Bullnose Tile by artisans in the spontaneous style appreciated in Mexican artistry. 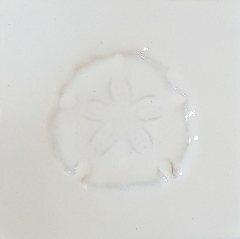 Interior applications only. 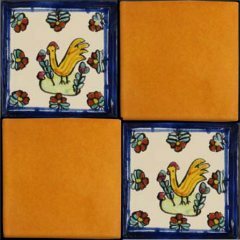 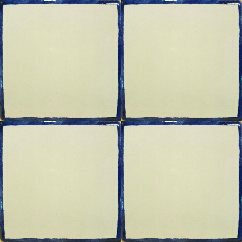 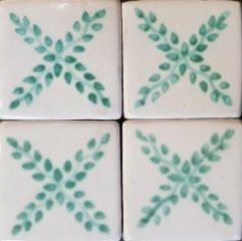 4x4 Field Tiles: Available in Azul cobalto, Amarillo, Bahamas, Blanco, Chocolate, Black, Linen, Tuscany, Terracotta, Verde Maya, & Verde mar. 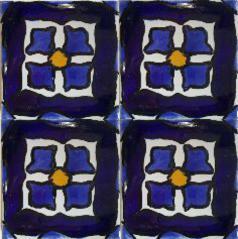 *Available Field Tile Sizes: 5x5, 2.5x2.5, 1x1 available in the Reflection Series. 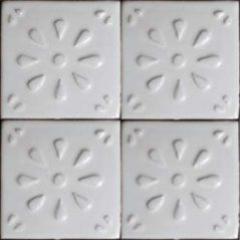 **Most of the tiles shown below are shown in 4 pieces to view the design pattern that may be made. 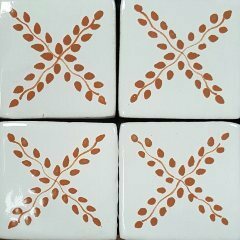 - 2.5"x2.5" and 4"x4". 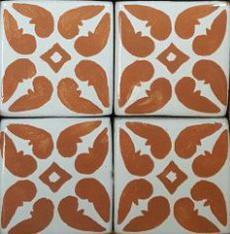 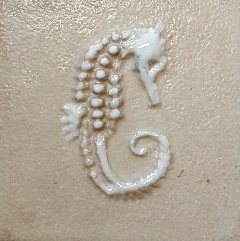 5"x5" sizes may be available in some designs. 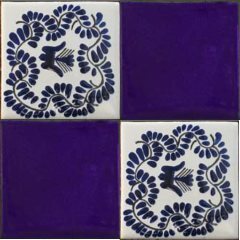 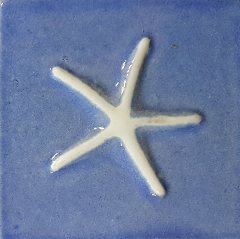 -The tiles work well accompanied by the 4"x4" solid, field colours, listed above. 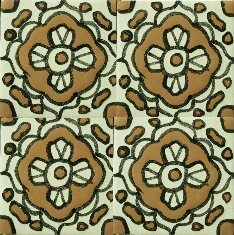 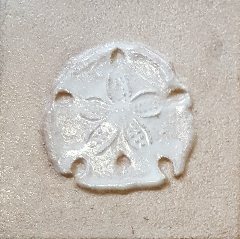 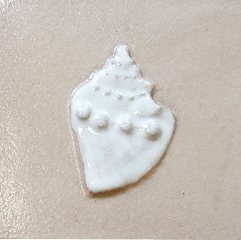 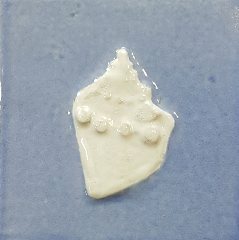 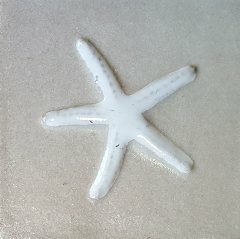 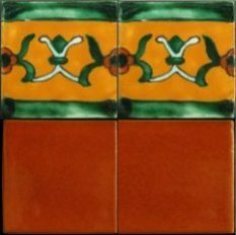 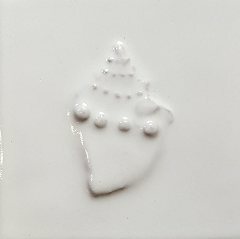 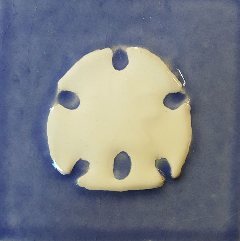 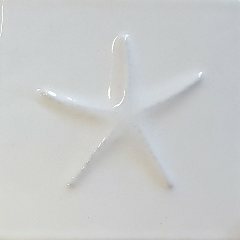 -Pieces are available in 2.5"x2.5" in addition to 4"x4" for use as floor insets with terracotta floor tiles or Reflections Series 5"x5".